The Federal Government has concluded arrangements to begin the enrollment of all military personnel on the Integrated Personnel and Payroll Information System (IPPIS), scheme from July 30. Ahmed Idris, the Accountant-General of the Federation (AGF), made the decision known in Abuja on Tuesday at a sensitisation programme. Represented by Usman Kudu, Director, Funds, Idris said the exercise was to create sufficient awareness among military personnel on their roles and objectives toward ensuring successful enrolment and implementation of IPPIS. “I will like to assure the military that the officials to be engaged in this enrolment exercise will be officers of high integrity from the Office of the Accountant-General of the Federation (OAGF), to ensure data security and confidentiality. 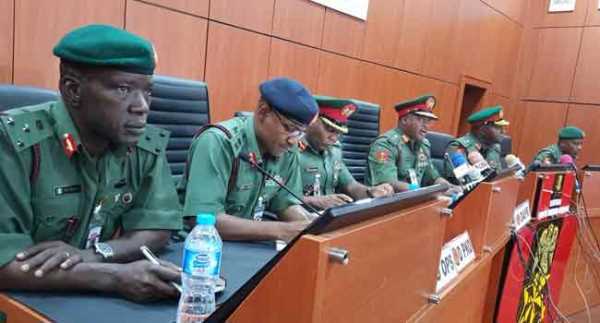 “A joint committee on the enrolment of the Nigerian military in IPPIS was inaugurated on March 28 and that it had succeeded in fashioning out modalities and timelines for the exercise. Meanwhile, Secretary to the Government of the Federation (SGF), Boss Mustapha on Monday said all public office holders must submit their credentials for the same screening, in the ongoing nationwide verification of personnel records. This is coming at a time where there are allegations that the Minister of Finance, Kemi Adeosun, falsified her National Youth Service Corps (NYSC) exemption certificate.